Although a winged arrow has adorned ŠKODA cars for many decades, the earliest-ever logo depicted a bicycle wheel surrounded by linden leaves. 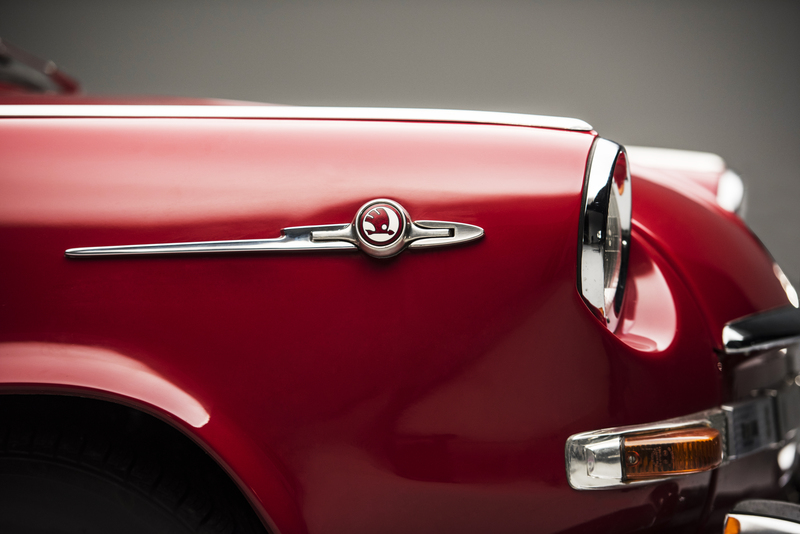 Shall we take a walk through the history of the ŠKODA logo? 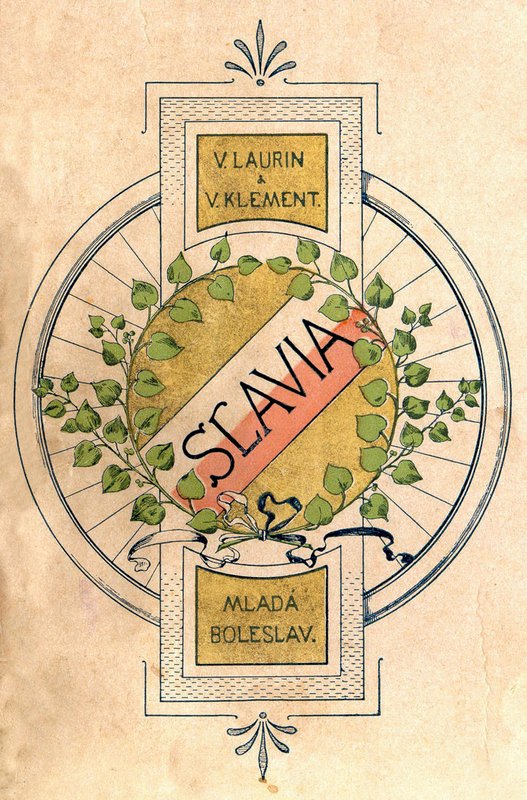 In 1895, Václav Laurin and Václav Klement joined forces to establish an enterprise which eventually was to become ŠKODA. As true of many other automotive pioneers, it all began with bicycle production. It seems Václav Klement had filed a complaint about a bicycle of the Germania brand, doing so in the Czech language. The manufacturer rejected his complaint, stating that it was “not in an understandable language”. Hence, he and Václav Laurin established their first company and named it Slavia. The firm manufactured and repaired bicycles and motorbikes. The first logo in the story therefore represents a bicycle wheel bedecked with linden leaves, a mythological symbol of the Slavic nations. 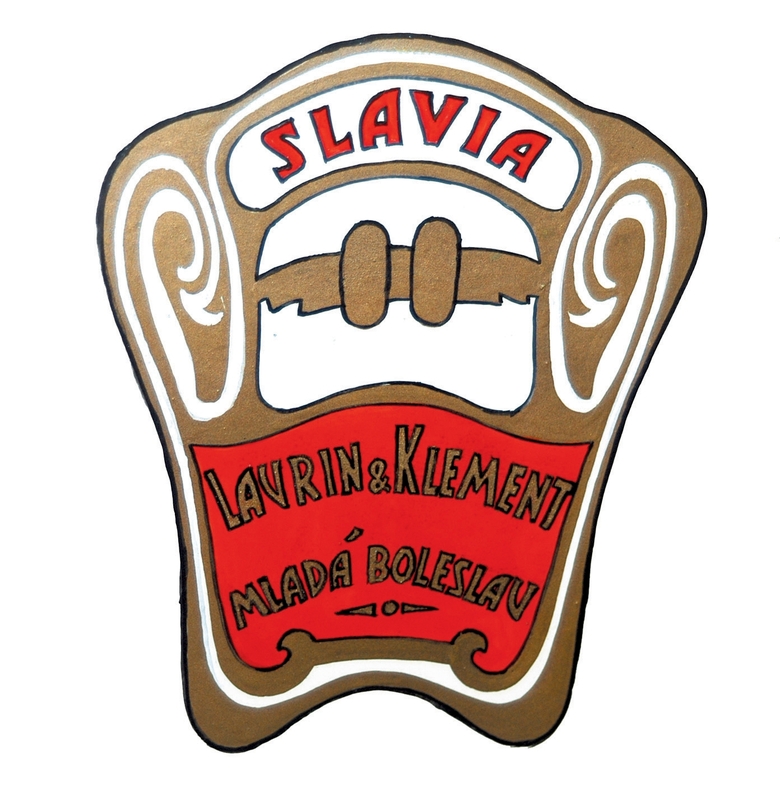 Later, the logo was augmented to include the names of the founders and the seat of the company: the city of Mladá Boleslav. The adventure in automobiles began at the turn of the 20th century with the Voiturette. To mark this important transition, the company was rechristened Laurin & Klement. It received a brand new logo in the Art Nouveau style, which was then very much in vogue. The logo presents the initials of its proprietors within a laurel wreath. 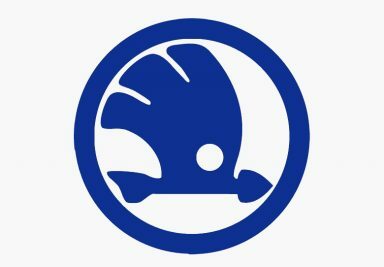 However, this logo coexisted with another one for almost 25 years. During the first decades of the automotive epic it was actually common, in addition to the logo as we know it today, to inscribe the name of the brand, in this case Laurin & Klement, in full on the front of the vehicle. After the Great War, Laurin & Klement diversified their activities considerably to take in bicycles, motorbikes, cars, lorries, buses, agricultural engines, and even airplane engines. But in 1924, amid financial problems and after a fire had ravaged the premises, the brand had to search for a new industrial partner. For its part, ŠKODA Works, then one of Europe’s largest industrial groups, with activities ranging from armaments to railways as well as aviation and shipyards, among other things , was just venturing into the automotive industry and likewise was seeking a partner already established in this field. A merger was concluded with Laurin & Klement. From that time, the vehicles were to be sold under the ŠKODA brand, bearing a new logo which combined the identities of the two partners: the name ŠKODA surrounded by the crown of laurel. 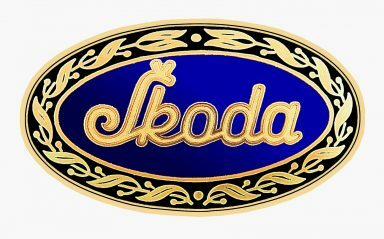 This year ŠKODA registered a logo you will recognize today: the blue-winged arrow, which is a stylized representation of an Indian headdress with feathers and an arrow. Its origins are extraordinarily mysterious; it is believed that one of the contributing authors was commercial director of the ŠKODA company in Pilsen. Nevertheless, the most credible account as to its meaning is that the symbol sought to express progress and movement into the future. What is certain is that this blue-winged arrow replaced the “ŠKODA and laurel” on the brand’s vehicles from the mid-1930s. 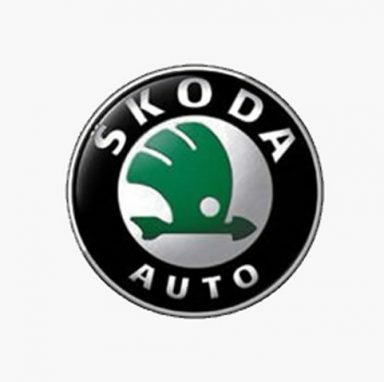 And although this logo has since evolved, it is still used today on ŠKODA Original replacement parts. 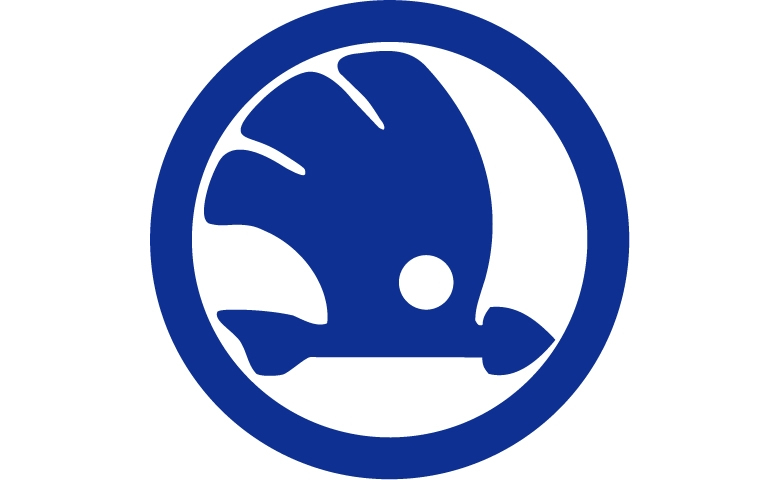 The blue logo was borne by all vehicles through the Soviet era and did not change for over 60 years. Then in 1991, when the Volkswagen Group took over responsibility for ŠKODA’s destiny, this occasioned the opportunity for a little rejuvenation. So, in 1993, the blue gave way to green and the circle was enlarged to allow for the inscription “ŠKODA AUTO”. 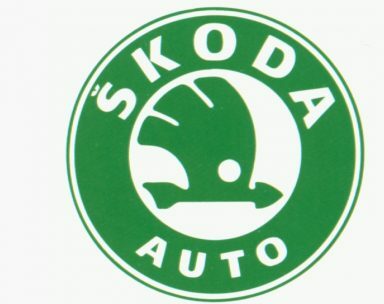 This green logo debuted on ŠKODA FELICIA, the first vehicle of the Volkswagen era. 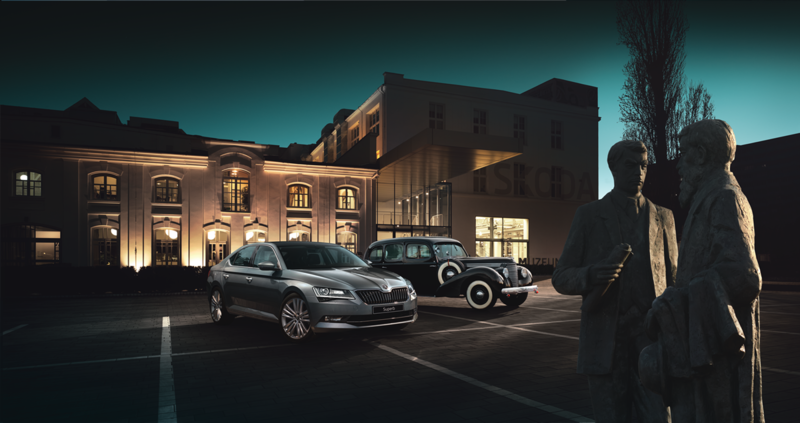 In the embrace of the German giant, ŠKODA experienced spectacular growth. Its vehicles were increasingly “designed”, the quality was ever higher, and they continued to be priced more competitively. They enjoyed enormous success. The logo evolved yet again to distance the brand a little more from its past as “a car from the East”. The green-winged arrow was retained, but a new meaning was assigned to its colour such that it took on a sense of eco-friendliness. Meanwhile, the logo’s overall appearance was enhanced as the circle’s green was replaced with a more elegant black. Over the course of time, ŠKODA automobiles have established a very solid reputation for quality, reliability, practicality, and at the same time elegance. Upon entering into the second decade of the 21st century, it was decided once again to freshen up the logo. The winged arrow was by that time well enough known that it could evoke the brand all by itself. 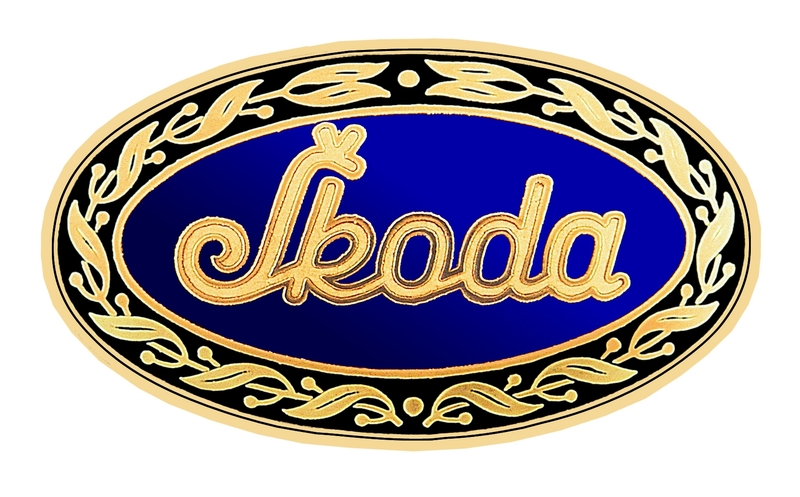 The name ŠKODA therefore disappeared from the logo. To add refinement and elegance, the black circle was enclosed within a chrome band. 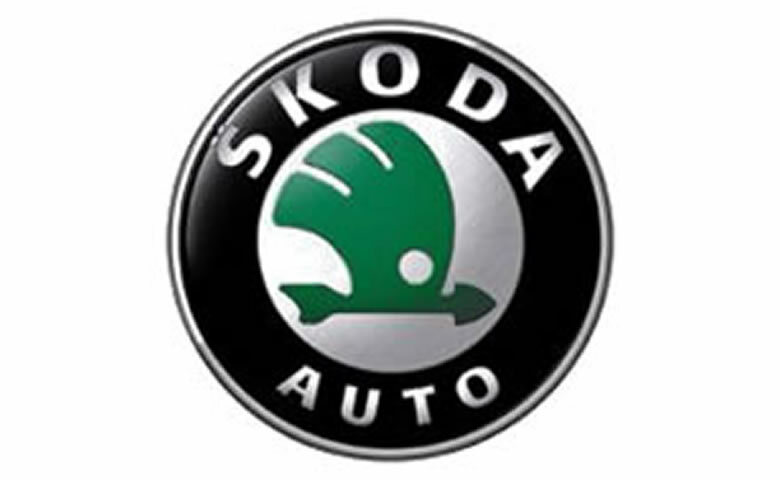 Even though green is still the “official” colour of ŠKODA, the colour in the end disappeared from those logos affixed upon vehicles. That version is now completely chrome (circle and winged arrow) on a black background and expresses the brand’s 2011 values: youth and precision. The current values –Simplifying, Surprising, Human – have shaped the logo into an even more contemporary form. Now which one is your favourite? Share your opinion on ŠKODA Facebook.